Do you ever wish there was a map that clearly laid out your purpose, talents, abilites, uniquenesses, and challenges, that told the story of you? I want to live in a world where the dance of the sun, moon, stars, and planets at the moment we’re born is mapped and remembered, a world where we each learn to read, tell, live, and deepen into that storied moment as OUR story. Imagine having a guide show you how to read Your Cosmic Map, a guide who can help you see and bring the story alive! 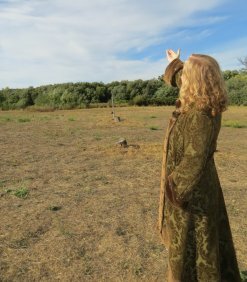 As someone who knows astrology and the actual sky, I can teach you to read the Planets in Signs in your map, and so much more. We’ll turn that map according to how the sky moves and see which planets were visible when and where, we’ll find the lunar phase, and connect this all to the cosmic world into which you were born! In this course, you’ll learn to read the cosmic map of your astrological birth chart, and along the way, create a foundation for lifelong learning and deepening into understanding the nuances and ongoing transformations of your experience of self, all while learning the basics of astrology and a good bit of how our solar system and sky works! This course is for you, whether you’re a total beginner or have been dancing with your own birth chart for years. ~ Emailed links to the Lessons and their Activities will arrive a few times a week inviting you to engage with your next Activity or Lesson in our online course environment. This course is self-paced, with emailed guidance encouraging a steady rhythm of learning. An hour or two per week is the optimal level of engagement for moving through the Lessons with the group over a few months. ~ There will be a handful of Live Videoconferences, Tuesdays, 6-7pm (Pacific time) on Feb 20, March 6th & 20th, and April 3rd & 17th, 2018). These are for integrating, Q & A, example readings (not foundational course material), so they’re optional. If you can’t make a videoconference, you can listen to the recording later. The next group round begins February 12, 2018. Come journey with fellow meaning seekers, deep divers, and inquisitive souls as we explore the terrain of our cosmic maps and come to know ourselves ever more subtly and deeply, while learning the language of astrology. Embark upon the adventure of YOUR lifetime! 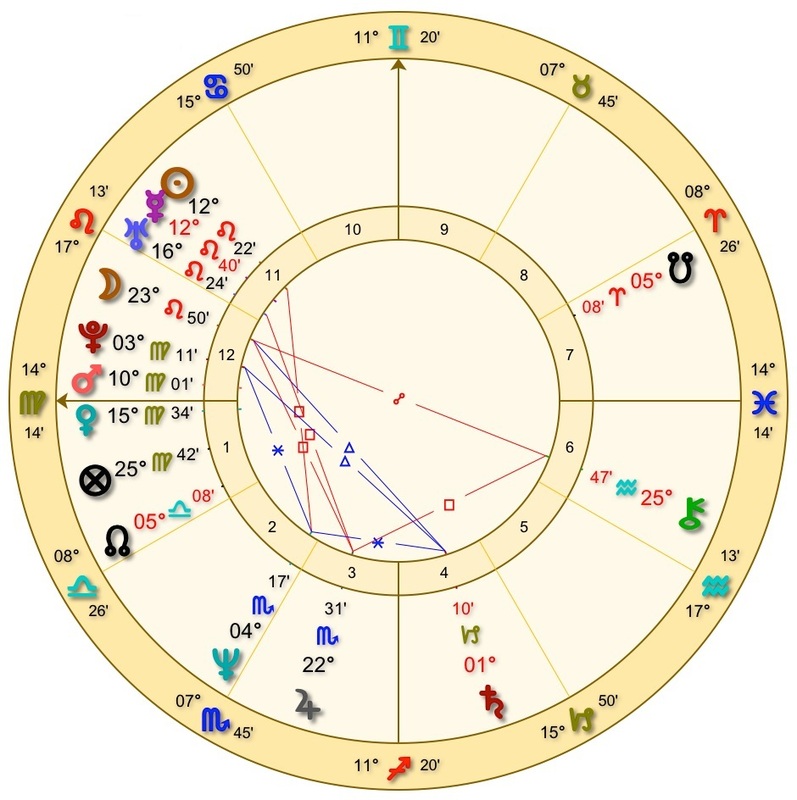 I have learned so much--I was/am a total newbie to astrology, but was reluctant to have someone look at my chart and "tell me all about myself". I wanted to walk through my own map, start a conversation, start to recognize and become friendly with everyone, not "get an answer" about why I do certain things, but I also needed a guide to help interpret the language. Your vision for this course was exactly what I longed for! That was Amazing! I feel like something deep was shifted that relates to all learning not just what we are learning here. Wow...I love the part about opening a road map and wondering what it "means." A very profound teaching. I have to say listening to the recording of the call quite literally blew my mind. I am so deeply grateful to now have an orientation towards the ACTUAL sky and what it looks like according to someone's map. Even though I have for many many years understood that the Rising Sign reflects what was rising on the horizon at the moment of birth. Somehow i never made the connection that this then meant that the descendent then was the Western horizon or that you could turn the "chart" to watch the sky move. I feel like I'll never see anyone's chart the same way again - and that is a VERY GOOD THING. Thanks!! OMG, I am 70 years old and if I had understood this even 20 years ago, what a difference it could have made in how I've lived my life. I've been looking at my chart for years and yet didn't realize my nodes were in my 1st and 7th houses which was interesting to acknowledge. My being kind of went huh? Really? By speaking each planet in its house I realize there was still plenty I'd yet to really put together. I feel invited into knowing and embodying my map at a much deeper level. I love the deepening understanding this all brings. The repetition feels like a spiral, enabling me to retrace my tracks, but not exactly, so I learn new things and ways of seeing. I'm taking a bit longer to go through the lessons because I'm enjoying the exploration of each lesson. i really like the structure you've laid out and how each activity is simple yet can be profound. i very much enjoy talking out loud as i interact with the maps we are making. feels very similar to when i first began speaking with the plants under the tutelage of my herbalist mentor, and though i've been doing that for years now, as well as "studying" astrology, i have never made that connection (surely i have said a few things to certain planets as i see them in the sky every now and again) but i have never let that carry forward into my ongoing discovery of how they show up on our cosmic maps. so this is having the affect of helping me remember they're conscious, as well as integrating the information i'm learning more deeply into my being. Stargazer Li has this amazing and magical way of offering the possibility that there is a different way of being and learning rather than acquiring "the answer" or meaning, and there's a part of me that already is aware of this and wants me to approach life in this way but I had forgotten it was even an option. ...it really helps to slow down and let the process of learning a new language and way of relating to myself and the world around me unfold in an organic way. This is so awesome I feel like I've learned a lifetime of knowledge already. I love watching something completely unknown start to reveal itself and make sense. It really helped to write out the sentence that Li had suggested. As I greeted each sign in its respective house or houses, I began to see more clearly how the placement of these signs has impacted my life - my preferences, my way of presenting myself to the world, what brings me joy, etc. So deep, so deep and all just by looking at this one layer. This is amazing. ...these exercises, while very simple, have totally invigorated my relationship to my chart, and to all the signs and bodies of the cosmos which are reflected in everything! Greeting the Planets in the Houses, and then the Signs, was a profound realization. Of past patterns and of potential. And Allies. Big time Allies. WOW!!!!!! I'm learning so much and really flowing with the material in a deep way.